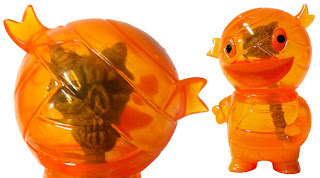 So my good friend Toby who owns and runs Devil's Head Productions has teamed up with Super7 to do a Halloween Mummy Boy Exclusive. 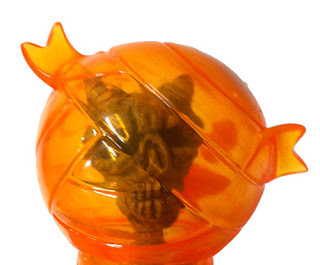 The really cool part is that, Toby asked me to sculpt the demon skull and spine to go inside the Mummy Boy. So I sculpted it and hand-cast all the little resin demons. Toby did all the painting to the sculpt and the Mummy Boy. They will be available this Halloween, Wednesday, October 31st, 12 Noon PST, for $35 each at Super7. For more info you can go to the Super7 blog or visit Toysrevil. It is a real cool piece, and I'm supper psyched to have had a small part in it.